Setting up content promotion is simpler than ever. Share personal OpenCart site to 40+ most major social media and allow your users to share your posts immediately with the help of Elfsight Share Buttons. Elfsight Apps provides a choice between a free version of the social buttons one of the advanced ones for large platforms. Displaying and setting up the share widget will require less than 4 minutes. Coding expertise or hiring programmers is not needed. Realize the necessary procedures, to carry out the installation. In case you’ve experienced buttons’ embedding or arrangement complications, please, contact our help center at Elfsight unhesitatingly. Sign up and get custom share widget for your web-resource. If you don’t yet have an access at Elfsight Apps, to begin with you need to set up an account. If you already have an access, enter. 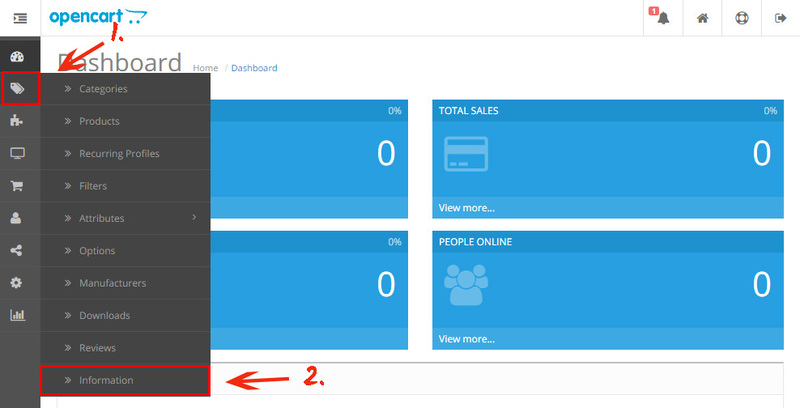 To place Buttons plugin to a OpenCart website, you have to select – Social Share Buttons. Pick the relevant parameters that will allow you to set the buttons on your site in the most fitting way. You need to choose the subscription in the table that opens up. Payment plans range from free to Enterprise. Consider your page’s traffic and click the “Select” link. You can get the individual script to display the app to your site in the popup. Featuring share buttons to a OpenCart site. 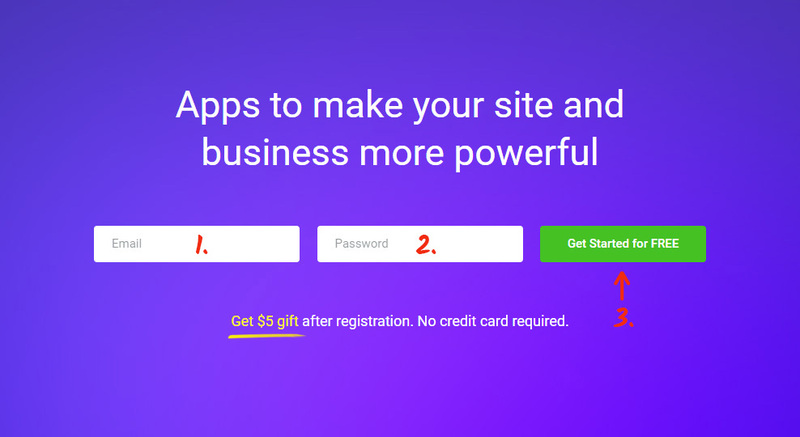 Go to website admin page. Enter the “Information” tab in the left-hand menu panel. Go to the page you want to place the buttons to. 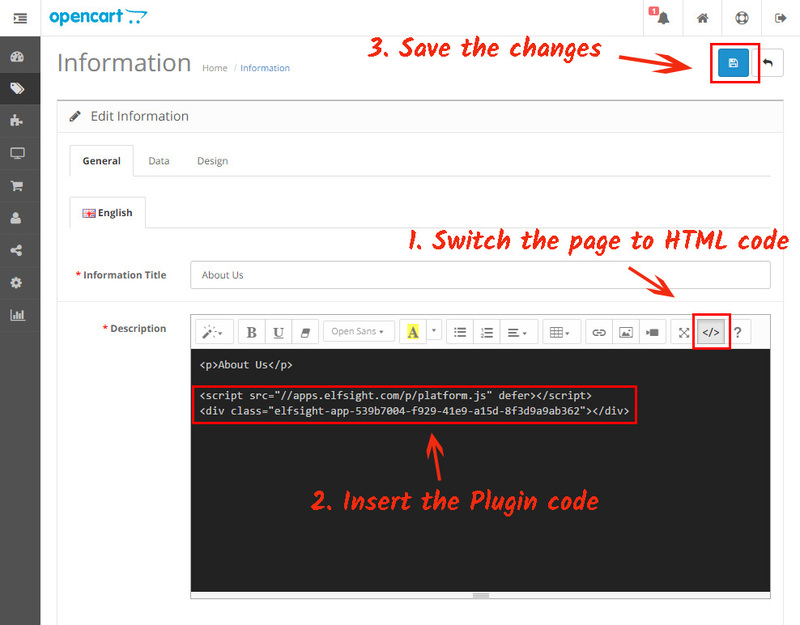 Switch the page content to HTML, paste the buttons into the required place in the code, and save the changes. • The buttons has been successfully installed! After you show the plugin, you can control it from your Elfsight Apps account. You should just modify the settings in the editor and save the changes. All the improvements will be automatically installed at your resource. 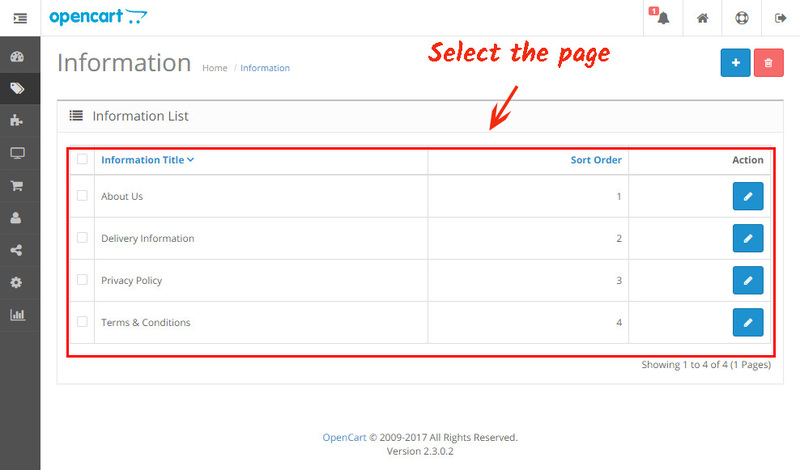 Also, don’t forget to explore other OpenCart extensions by Elfsight. It is a cloud-based platform that aims to improve your site and features plugins that are fast and simple to show. Insert apps > enhance users’ engagement > obtain increased traffic and purchases. Put to the test our Share Buttons for free! Appreciate all the benefits of the share buttons for websites straight away.